For our third installment of the 2017 Beer Guide we present a set of beers to savor with their bold, complex flavors. They pair well with a strong backbone and no whining. Last spring, Foam Brewers debuted both their Burlington, waterfront-located facility and Built to Spill IPA. And despite the seasonal beverage’s high ABV, one tester remarked, “It’s not as sharp or as harsh as other eight-percent IPAs.” Others commented on the subtle pineapple aroma. All agreed: it’s dangerously drinkable. Pairs With: Perfecting a goggle tan and designated drivers. Piney, rugged and smooth might describe a perfect zone and the resulting happiness in finding it—it’s also how our testers described Alpine Beer Company’s Pure Hoppiness IPA. “Big, luscious mouthfeel and rugged bitterness come together in a great, great double IPA,” one tester said. “I didn’t want my drink to end.” Pairs With: Scoping lines from the hut deck. Rock Art’s Twin Tip DIPA lives up to its name, with one tester proclaiming that the “hops jump out of the can upon popping the top.” And while another tester noted that the initial taste is malty and smooth, he was quick to point out that it fades to a light bitterness. Pairs With: Trying to keep both feet facing forward. 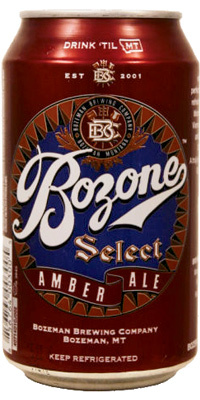 Touted by Bozeman Brewing as a local favorite, this amber tasted just as sweet to our testers. 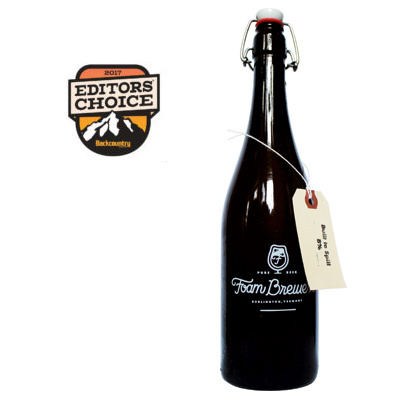 “Nice to have an amber that isn’t very hop-forward for a change,” one said, while another added he would “happily drink this as a go-to” if he lived in Bozeman, due to the Amber’s clean hop flavor and caramel maltiness. Pairs With: Blending in with the locals. While it’s unclear what a Dirtwolf is, exactly, Victory Brewing describes it as an aggressively hopped DIPA with citrus and resin flavors. “Smells crisp and clean, almost like a German pilsner,” said one tester, although he noted it may leave you howlin’—“At 8.7 percent, this is trouble, because it drinks like 4.5 percent.” Pairs With: Long walks on the wild side.